The Diet for Type 2 Diabetics That Actually Works! There are hundreds of diabetic diets out there, claiming to work, but, unfortunately most of them just don't work. Most of these diets are called "low carb", "low fat", "high fat", "high protein" or some combination of "low this and high that". Initially, these diets are effective in lowering your blood glucose, but, over time, your blood glucose gradually begins to increase again. Even worse, these diets don't stop the disease from progressing and wreaking damage throughout your body. In addition, these diets don't actually help to repair your body and begin reversing the disease. However, the Death to Diabetes Diet, developed by an ex-diabetic engineer, is specifically designed to return your blood glucose to the normal range, reduce your blood pressure and reduce inflammation markers and other biomarkers such as CRP, high cholesterol, excess oxidation and excess toxins. By doing this, your body can initiate the repair process at the cellular level and actually heal damaged cells and tissues. And, all of this is measurable and trackable by using conventional medical tests for your blood, urine, hormones, minerals, etc. The beautiful thing about this diet and the associated nutritional model, is that it is not necessary for you to count carbs and/or calories. All of this is taken into account when the author designed the model. So, as long as you adhere to the attributes and characteristics of the model, you'll be consuming the proper levels of carbs and calories with each meal. But, since everyone's body is different and reacts differently to various foods, there is no such thing as a one-size-fits-all diet. Consequently, you will still be required to measure your blood glucose before and after meals in order to customize the diet to fit your specific health needs. 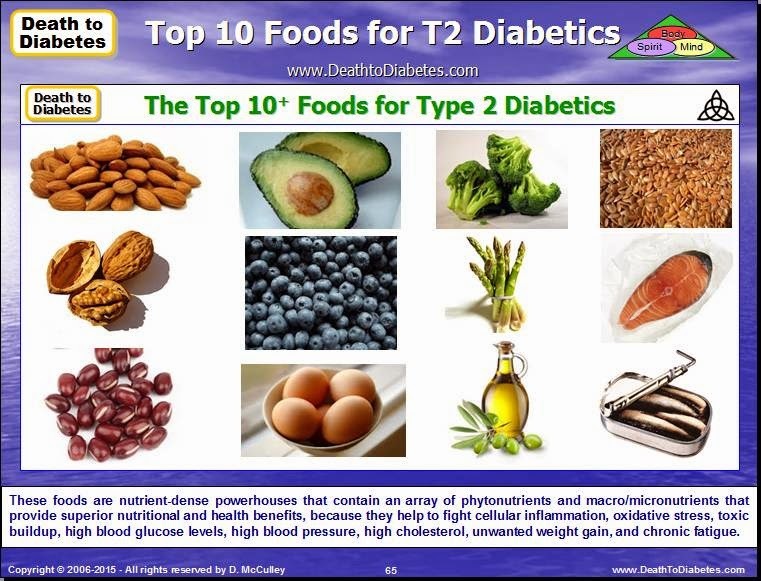 The Death to Diabetes (DTD) Diet is the most flexible, customizable and effective diet for Type 2 diabetics (as well as Type 1s and non-diabetics). The DTD diet can range from a raw food diet to mostly or partially a raw food diet depending on what level of the program you are comfortable with implementing. Note: Most diets are too restrictive. As a result, most people fail because they can't stick with the restrictions over a long period of time. In addition, most diet programs don't provide the level of support and customer responsiveness that we provide to guide you on your journey. 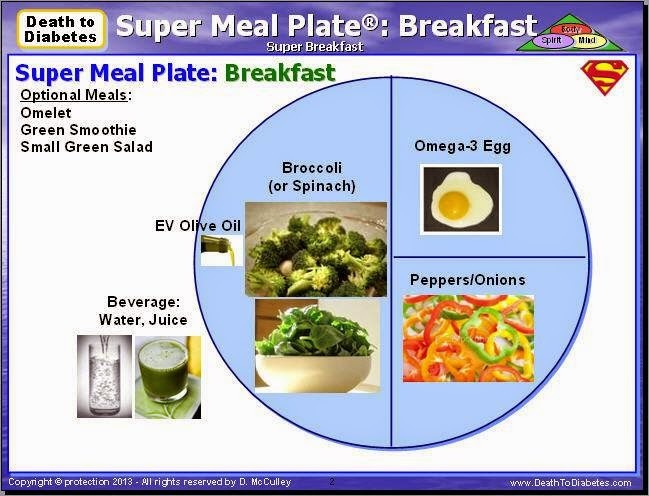 The "Death to Diabetes" Super Meal Model Plate (Diet for Diabetics) was designed by the author after reviewing and analyzing more than 30 different diets -- to address the vitamin/mineral deficiencies, the cell damage (rotting), the excess toxicity, and the body's repair process -- to reverse your diabetes and prevent further cell damage and the onset of blindness, amputation, kidney failure, heart attack and stroke. Note: This type of plant-based diet is supported by hundreds of clinical studies, including the China Study, which substantiate the benefits of a plant-based nutritional program to prevent and possibly reverse the effects of heart disease, Type 2 diabetes, and some cancers. Consequently, if you adhere to the raw diet version of the "Death to Diabetes" Super Meal Model Plate, you will notice your blood glucose readings start to come down almost immediately! And, if you adhere to the complete Death to Diabetes 10-step program, including the detox, exercise, and drug weaning, you can get your blood glucose readings back to the normal range within 30-45 days! 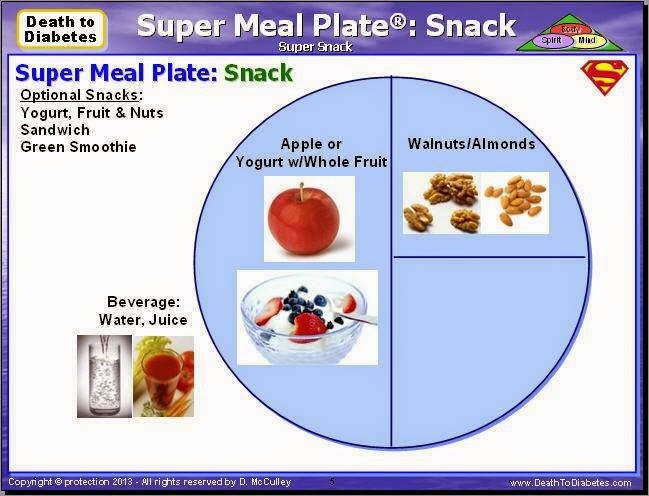 The "Death to Diabetes" Super Meal Model Plate (Diet for Diabetics) is part of a comprehensive 10-step and 6-stage clinically-proven diabetes wellness program that is designed to stop the rot and improve the health of people suffering with Type 2 diabetes as well as with Type 1 diabetes. 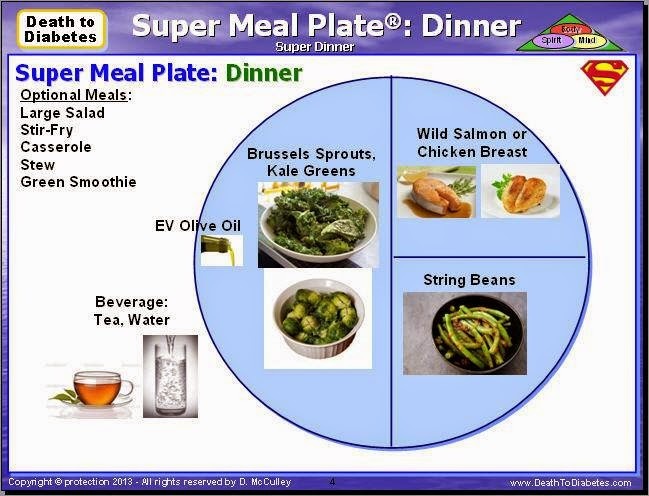 This Super Meal Model is a diet designed for diabetics, as well as non-diabetics because it provides the missing vitamins and minerals and helps to strengthen the immune system; avoid the 4 major silent killers; and, address obesity, high blood pressure, high cholesterol, heart disease, chronic fatigue, and other similar systemic ailments. Some people see this Super Meal Model (diet for diabetics) as a"low carb" diet, but, the author sees it as a lot more than just a "low-carb" diet. He prefers the term "balanced" diet because there is a balance of quality carbs, proteins, and fats that improves the overall health and wellness of the body. Consequently, this Super Meal Model can be used by non-diabetics, who want to lose weight, lower their blood pressure, or just improve their overall health. 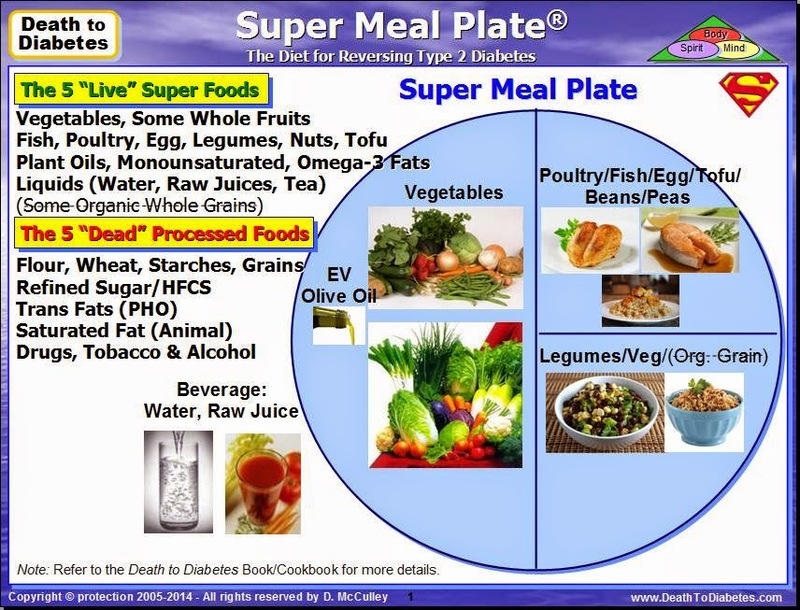 This "Death to Diabetes" Super Meal Model Plate (Diet for Diabetics) utilizes the 5 super foods to create combo-super foods, combo-super meals, and super snacks, including omelets, casseroles, salads, sandwiches, smoothies, soups, stews, and stir-frys. And, don't forget the importance of key minerals such as magnesium, potassium, chromium, and real salt -- all working together to stop the rot and repair the damage. The Super Meal Model was designed by the author to make it easier for diabetics (and non-diabetics) to design healthy, balanced meals without having to spend a lot of time counting calories and carbohydrates. Calorie-counting (and carb counting) can be time-consuming and very frustrating. And, given everything that a diabetic has to deal with, the author felt it was important to keep things as simple as possible. Consequently, the calories and carbs are "built into" the model (which has been submitted as a medical IP, one of the many invention proposals associated with "Death to Diabetes"). Note: Concerning the content of each meal, do not over-focus on the actual number of carbs and the number of calories. Instead, focus on the quality of the carbs that you're eating and the physical attributes of your meal plate. The author initially started out with a 40%-30%-30% carb/protein/fat balance as a guideline. But, he quickly moved to 50%-30%-20% based on his blood glucose testing and replacing all of his carbs and most of his proteins and fats with plant-based foods. He also found that by keeping his meals simple, it was easy to stick with his Super Meal Model. Consequently, it is imperative that you use blood glucose testing to customize the model to fit your specific health needs. Please Note: If you are taking a blood thinner (such as Coumadin), you can still eat green vegetables as long as you eat a consistent amount on a daily basis. But, always consult with your physician before making any dietary changes. Author's Note: There is a misunderstanding that people who take a blood thinner can't eat green vegetables because the Vitamin K in the vegetables counteracts the blood thinner. This is not true! 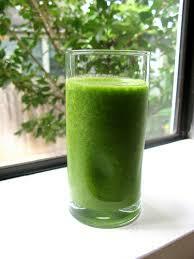 I was told to avoid green vegetables when I was on a blood thinner. But, I found out after doing some research that I could eat green vegetables as long as I did it on a consistent basis every day. I believe that if I had stopped eating the green vegetables, I would have remained diabetic and would have remained on insulin. In addition, more than likely, I would probably not be alive today. The "Death to Diabetes" Super Meal Model is truly THE Diabetes Diet for Diabetics, because it is specifically designed to help control Type 1 diabetes and to help defeat and reverse Type 2 diabetes -- by providing a more sustained level of energy and key nutrients that diabetics (and non-diabetics) are missing when they consume the more traditional grain-based, overly-processed, nutrient-poor or starchy meal. The "Death to Diabetes" Super Meal Model has a very nutrient-dense protocol that provides nutrients that are key to the effectiveness of THE Diabetes Diet including: carotenoids, antioxidants, Omega-3 EFAs (EPA, DHA), chlorophyll, magnesium, potassium, chromium, Vitamin E, Vitamin C, fiber, water -- all designed to stop the rot and repair the damage caused by the diabetes (and the diabetic medications). These critical nutrients help to cleanse/detox, and strengthen your immune system, so that it can defend your body while initiating the necessary repair processes to repair the damage caused by the diabetes. 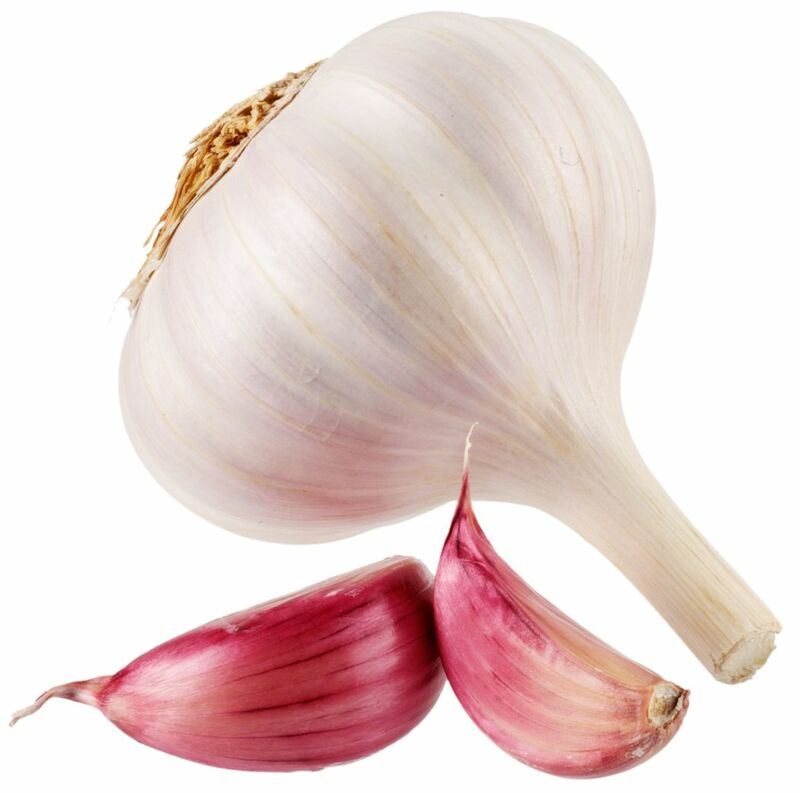 These critical nutrients are found in garlic, sea salt, super foods, healing foods, antioxidant-rich foods, anti-inflammatory foods, medicinal mushrooms, and other (organic) herbs & spices. In addition, by avoiding the grain-based breakfast, the 5 "dead" foods, and many of the so-called “healthy” foods, diabetics and non-diabetics will not experience the mid-morning “crash” or craving for processed food/beverages. 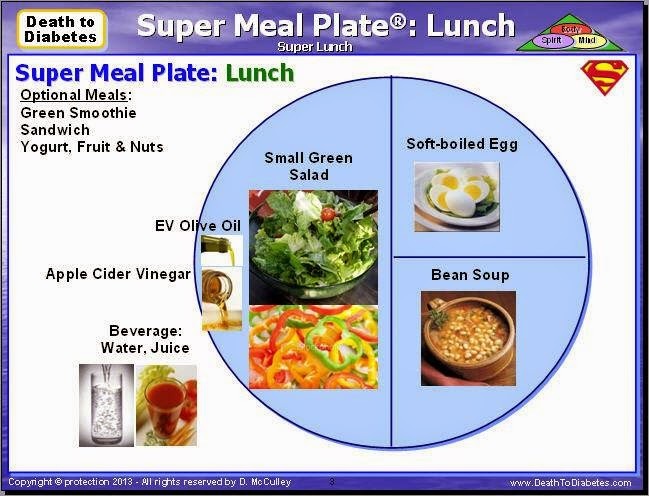 Over time, the "Death to Diabetes" Super Meal Model Plate (Diet for Diabetics) will support blood glucose stabilization, cell repair and the regulation of the body's production and utilization of insulin. Please Note: This diet is not a weight loss diet. This diet is a nutrient-dense wellness diet. This diet improves your wellness and your overall health. Unfortunately, most diets focus strictly on weight loss instead of how to either prevent the disease or how to attack the disease and improve the body's overall health. Even if you're only insulin-resistant or pre-diabetic, this diet's nutritional protocol can still help you prevent your body from becoming full-blown diabetic. Also, because this is a wellness diet, it can modified to address other health issues such as high blood pressure, high cholesterol, chronic fatigue, hypoglycemia, gout, arthritis, lupus, sarcoidosis, etc. Good News! : This is the only nutritional program that explains how to enjoy some of your favorite foods and comfort foods -- after you have changed the chemistry in your body back to a non-diabetic state. 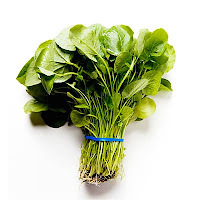 Super Carbohydrates include many bright, colorful and green, leafy vegetables, some dark, colorful fruits, onions, garlic, other herbs & spices, legumes, medicinal mushrooms, and some specific organic whole grains/sprouts (but, not wheat!). 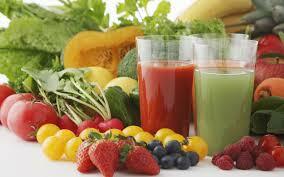 Note: We recommend that most diabetics avoid all grains and most fruits during the first 3 stages of the program. Grains contain specific harmful chemicals (i.e. 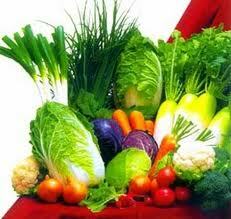 gluten, phytates, lectins) that trigger cellular inflammation in your body! Super Proteins include nuts, seeds, cold-water fish (i.e. 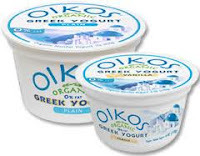 wild salmon, tuna), blue-green algae (chlorella, spirulina), fermented soy, organic dairy (i.e. 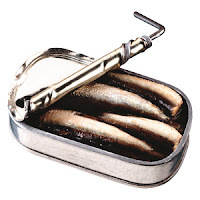 organic, Omega-3, free-range eggs), lean animal meats (i.e. free-range chicken, turkey, organic beef), wild animal meat (i.e. bison, ostrich, deer). 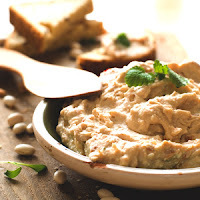 Note: Fermented foods such as sauerkraut, pickles, homemade yogurt, kombucha (fermented black tea), miso and tempeh (fermented soybeans) help to improve the intestinal flora balance, build the immune system, absorb more nutrients, and generate new nutrients including Omega-3 fatty acids, digestive aids and the trace mineral GTF chromium. Note: If you want to follow a vegan diet, replace animal protein with non-animal protein; and, add more beans, lentils, nuts, seeds, vegetables, fruits, (some) organic whole grains/sprouts, and other super foods to your meal plan. Also, add meat substitutes (i.e. veggie burgers, black bean burgers, meatless “chicken nuggets”, “beef” crumbles, etc.) and organic soy products (i.e. soy milk, edamame, soy nuts, tofu, tempeh). 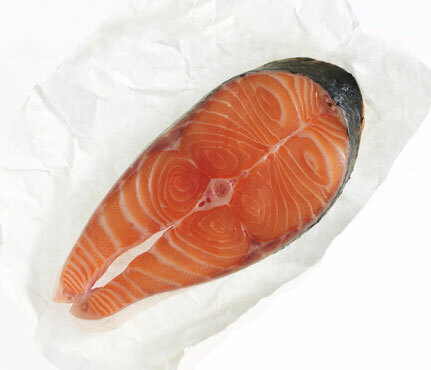 Super Fats include plant oils and the fat in nuts and seeds, and cold-water fish, i.e. extra virgin olive oil, extra virgin coconut oil. 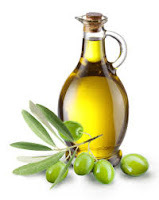 But, you must avoid the clear vegetable oils and canola oil! Note: For more details about this diet, refer to the Death to Diabetes website and the book. 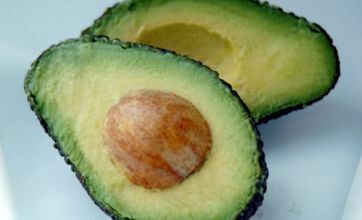 The following foods are nutrient-dense powerhouses that contains a diverse array of phytonutrients, macronutrients and micronutrients that provide superior nutritional benefits and multiple health benefits for people with Type 2 diabetes. 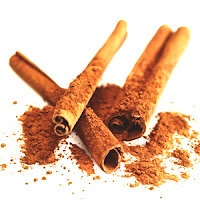 As a result, these foods can help a Type 2 diabetic to better manage and control his/her diabetes; and, possibly, reverse their diabetes and prevent the onset of major complications such as amputation and blindness. 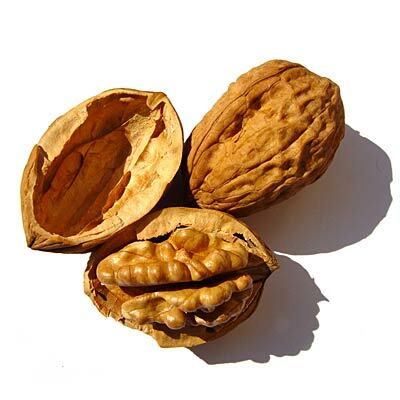 When eaten on a regular basis (primarily in their raw form), these foods provide health benefits in the form of vitamins, minerals, antioxidants, polyphenols, fiber, and healthy fats. Each of these foods offer more nutritional value per serving than most other foods. In addition, most of these foods are inexpensive and readily available in most grocery stores and health food stores. These foods provide key nutrients to the heart, brain, liver, kidneys, blood, and other key organs throughout the body. 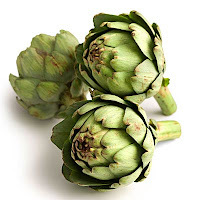 As a result, these foods help to prevent and fight many of the top diseases and illnesses, including diabetes, heart disease, cancer, obesity, high blood pressure, high cholesterol, high blood sugar, and chronic fatigue. Note: This "Top 10" list of foods has grown, based on new research and clinical findings. 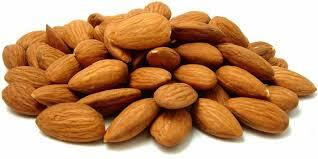 Note: Nearly all raw nuts are healthy for us due to their heart-healthy unsaturated fats and other phytonutrients. All types of beans (kidney, chickpeas, soybeans, dried peas and lentils) are low in fat and have anti-ageing properties but these small red beans have one of the highest antioxidant ratings. 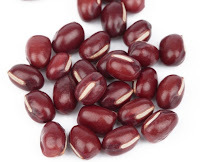 Typically used in Japanese cooking adzuki beans are a good source of carbohydrates, folate, potassium, phosphorus, magnesium, iron, manganese and zinc. 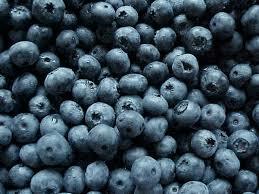 Did you know that much of the power of blueberries lies in their color? That deep-blue hue is a by-product of flavonoids — natural compounds that protect the brain's memory-carrying cells (neurons) from the damaging effects of oxidation and inflammation. Since blueberries are one of the best sources of flavonoids you can find, it's no surprise that this food has been shown to help preserve memory function. 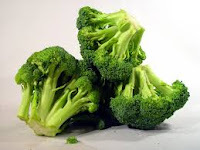 Low in calories (about 30 calories per cup) and high in health-promoting polyphenols, broccoli is considered one of the most potent nutrient-dense foods. Broccoli is rich in fiber, folate, phytonutrients, vitamin C and vitamin A. Regularly eating broccoli can help prevent heart disease, diabetes, cell damage, worsening eye sight and some forms of cancer. These berries are full of phytonutrients that neutralize free radicals (agents that cause aging and cell damage). The antioxidants in these berries may also protect against cancer and reduce the effects of age-related conditions such as Alzheimer's disease or dementia. Where to get it: Frozen or fresh, broccoli is easy to come by year-round. 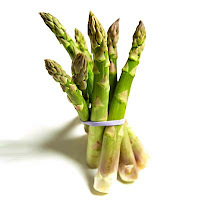 To get the most out of this vegetable, try to eat it raw or lightly steamed — cooking kills off most of its vitamin C.
Eggs received a bad rap because of the phobia tied to high cholesterol. But, the egg is an amazing source of high-quality nutrients that many people are deficient in, especially high-quality protein and fat. 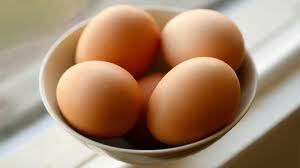 A single egg contains: 9 essential amino acids, high quality protein, lutein and zeaxanthin (for your eyes); choline for your brain, nervous and cardiovascular systems; and naturally occurring B12. There are many types of seaweed, which has been used traditionally in Asian diets. Seaweed is low in calories, but high in nutrients. According to the Planet Green website, seaweed provides a number of benefits such as alkalizing your blood, promoting weight loss, deterring the formation of cellulite and providing protection from different environmental toxins. Here are some other foods that contain key phytonutrients that provide multiple health benefits. Why it's a good food for women: A 2008 American Heart Association study reported that beet (otherwise known as beetroot) juice helps in bringing blood pressure down. Why it's a good food for women: Tart cherries are anti-inflammatory and may be great for managing pain. 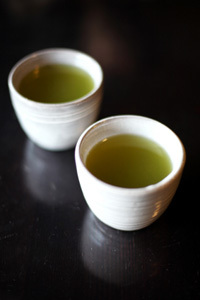 Green tea — as well as black, white and red teas — is high in polyphenols and the flavonoid EGCG. Studies suggest that drinking tea every day can fight cancer, stroke and heart disease as well as boost the immune system and cognitive health. Replace your daily soft drinks with calorie-free tea and take advantage of the many green tea infused drinks and food products. Quinoa (pronounced ‘Keen-wah’) is a protein-rich seed that the Incas ate to give them strength and energy. It is gluten-free, high in amino acids, protein, vitamin B6, B1, B2, B3, and potassium. 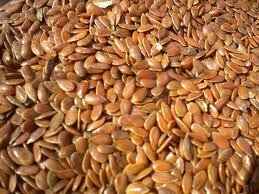 Plus it is a great source of copper, zinc, iron, magnesium, and folate. Quinoa is a excellent grain for many reasons: It’s one of the few non-animal proteins that's considered a "complete protein" in that it has all of the essential amino acids your body needs to build protein molecules. Plus, quinoa is a whole grain with germ, endosperm, and bran intact, bringing a host of nutrients and healthy fat to the mix. 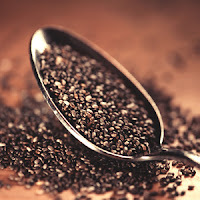 Quinoa is also a source of calcium, so useful for vegans and those who are lactose intolerant. Sweet potatoes are good for your health, but not so much if they are baked into high calorie and high fat dishes. Eating sweet potatoes by themselves will provide you with carotenoids, vitamin C, potassium and fiber. Sweet potatoes are relatively fat free and very low in calories. 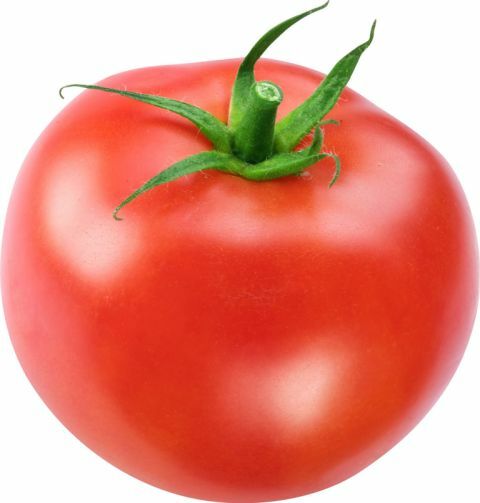 Lycopene is a powerful antioxidant that gives tomatoes their red color and it helps absorb the damaging free radicals that can harm our cells.